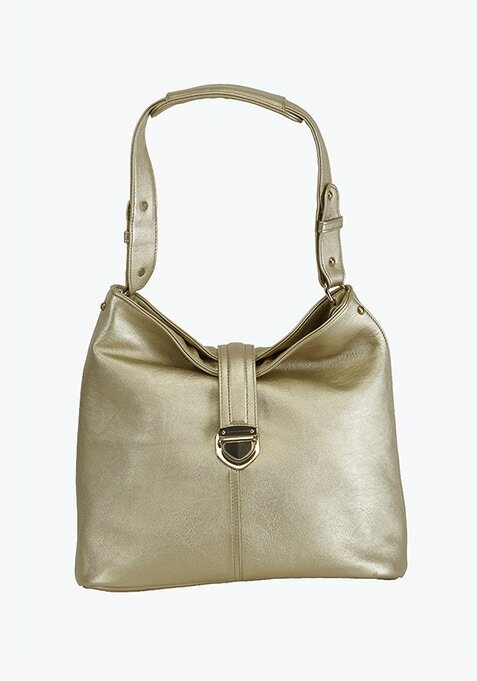 Smart and trendy, this gold handbag is a must have. Features push button closure, comfy grab handles and space for all your nitty-gritties. Work It - Looks smart with a white top and denims.